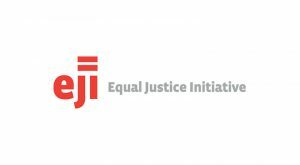 The Equal Justice Initiative (EJI) provides legal representation to indigent defendants and prisoners who have been denied fair and just treatment in the legal system. EJI litigates on behalf of condemned prisoners, juvenile offenders, people wrongly convicted or charged with violent crimes, poor people denied effective representation, and others whose trials are marked by racial bias or prosecutorial misconduct. This grant provides general support for EJI. The organization has conducted ongoing investigations of abusive prison conditions, challenged racial bias in the criminal justice system, made progress in restricting the practice of capital punishment, won major reforms in the United States Supreme Court on behalf of indigent defendants, and successfully obtained reduced sentences or parole for people who were condemned to die in prison for convictions they received as children.